In July 2009, the Council Board of Directors authorized formation of the Council Political Action Committee. The goal of the PAC is to promote good citizenship through the personal and financial participation of its members in the elective process at the state level of government. The PAC is not affiliated with any political party but is organized and operated on a voluntary, non-partisan basis to foster a human services delivery system that is comprehensive, community based, and respectful of the needs of individuals and families. We do this by providing financial support to candidates who are believed to be in general agreement with the goals of the Council. The PAC Board of Directors helps to raise funds for distribution to candidates by soliciting contributions for member agency staff, Board members, and their family members. Those who contribute to the PAC are considered members for that year. The PAC made 94 contributions to candidates totaling $10,450 to 42 Democratic and 47 Republican candidates during the 2016 election cycle. We are gearing up to raise $12,000 this year to support candidates who support our issues on both sides of the aisle. 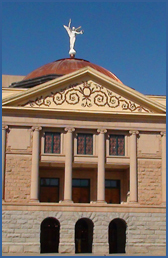 Staff and board members–and their family members–of Arizona Council member agencies are eligible to make contributions to the PAC. You can easily do that using Pay Pal HERE. Or mail a check (Arizona Council Political Action Committee) to 2100 North Central, Suite 225, Phoenix, AZ 85004. We appreciate your support!